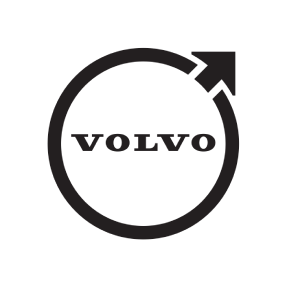 Volvo License plate frames provide the perfect finishing touch when dressing up the exterior of your vehicle. The frames are made from high grade stainless steel and are beautifully hand polished for a sparkling shine. The frames are designed for easy installation with four mounting holes and four finishing dome nuts. 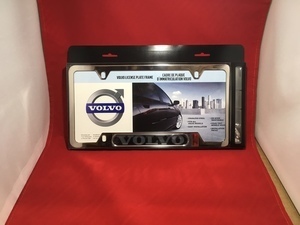 Volvo License Plate Frames provide the perfect finishing touch for dressing up the exterior of your vehicle. The Frames are made from high grade 18 gauge 304 stainless steel and are beautifully hand polished for a sparkling shine. This 1pc frame features 4 mounting holes to accomodate all vehicles and include 4 stainless steel acorn nuts. Volvo License plate frames provide the perfect finishing touch when dressing up the exterior of your vehicle. The frames are made from high grade stainless steel and are beutifully hand polished for a sparkling shine. The frames are designed for easy installation with four mounting holes and four finishing acorn nut. Will not block registration or inspection tabs in all four corner locations. Frames feature anti-vibration plate locking tab son backside of frame. East installation featuring four mounting holes to accommodate all vehicles. Both plate frames come complete with four stainless steel acorn nuts.